La-la-la: Willfully ignoring facts about our health allows us to avoid taking responsibility for our lives – If you are concerned about your health, you’ve probably had to explain your eating choices to family members or friends at some point. Most of us know the feeling of having to tell someone we’re passing on the bacon because of the connection between processed meats and cancer, only to be greeted with a response like, “Everything causes cancer these days. I don’t believe it.” Or perhaps you’re familiar with this variation: “My grandfather ate bacon every Sunday of his life and he lived to be 99.” People who say these things want to eat bacon, plain and simple. Honestly, it’s hard to blame them, with its smoky flavor and satisfying crunch. They don’t want to believe that modern bacon ingredients like sodium nitrite can cause cancer because that would mean giving it up. The reason this conversation is familiar to so many of us is that people are wired to willfully ignore facts that go against beliefs they’ve held for a long time. ‘One in seven billion’ boy stuns doctors by starting to beat cancer – A BOY of eight who was dying of cancer has stunned doctors by starting on the road to recovery… without any new treatment. Julian Malankowska’s mother believes the “one in seven billion” chance is thanks to putting him on a special diet. The family said they have been given renewed hope after “accepting he was going to die”. Julian was two in 2011 when he was diagnosed with acute lymphoblastic leukaemia – a form of bone cancer that affects white blood cells. He managed to beat the deadly disease three times following several rounds of chemotherapy and a bone marrow transplant from a donor in the US. But the cancer returned for a fourth time last June and the family said their world fell apart after being told he would not make it past Christmas. Aneta is convinced a diet, including milk thistle, alkaline water and fresh juices, has contributed towards the improvement. 1 6 million U.S. adults on prescription stimulants: Study – About 16 million U.S. adults are using prescription stimulants, according to research by the National Institute on Drug Abuse. The findings appear in one of the first wide-ranging surveys of the prevalence and abuse of medications commonly used to treat attention-deficit hyperactivity disorder (ADHD). The study, published Monday in the American Journal of Psychiatry, focused on adults 18 and older from the 2015 and 2016 National Survey on Drug Use and Health, comprising 102,000 respondents. The nationally representative survey estimates that 5 million people misuse prescription stimulants, and 400,000 have use disorders. Over half of respondents (56.3 percent) said they use prescription stimulants for cognitive enhancement — to be alert or concentrate — followed by use as a study aid (21.9 percent). About 15.5 percent of respondents said they take the medications to “get high or being hooked,” and only 4.1 percent said they use it for weight loss. Two common iron supplements may cause cancer – A new study finds that two iron compounds, which are used in supplements and food additives, raise levels of a cancer biomarker — even when consumed in low amounts. The new research comes from the Chalmers University of Technology in Gothenburg, Sweden, in collaboration with the United Kingdom Medical Research Council and the University of Cambridge, also in the U.K. The scientists — led by Nathalie Scheers, an assistant professor at the Chalmers University of Technology — explain that their research was prompted by older studies that showed that two compounds, called ferric citrate and ferric EDTA, promote tumors in mice. Although women who have been treated for breast cancer with chemotherapy have reported experiencing “chemobrain,” studies have not confirmed it as a real thing — until a recent study with mice at the University of Illinois. Mice treated with chemotherapy showed cognitive effects interfering with their ability to function in mazes for months after treatment ended, the equivalent of years in human lives. Although women who have been treated for breast cancer with chemotherapy have reported experiencing “chemobrain,” studies have not confirmed it as a real thing — until a recent study with mice at the University of Illinois. Mice treated with chemotherapy showed cognitive effects interfering with their ability to function in mazes for months after treatment ended, the equivalent of years in human lives. Kris Kristofferson’s dramatic cure of his “incurable” Alzheimer’s disease – Apparently Kristofferson had been mis-diagnosed with Alzheimer’s dementia about three years ago, which started more than one medical misadventure for he and his neurologists involving neurotoxic medication trials with drugs. Those drugs that Kristofferson was treated with had been approved by the FDA on the basis of a couple of short-term trials involving only a few hundred so-called “Alzheimer’s Dementia” patients. The results that were submitted to the FDA showed only minimal improvement (albeit “statistically significant”), but only in mild to moderate dementia. Thus treating severely demented patients with those drugs was not FDA-approved (“off-label”). Cancer Cures, Prostate Cancer, Is Autism a genetic anomaly? 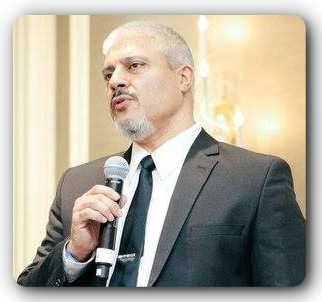 Dr. Rashid Buttar and RSB discuss more cancer cures! We’ll talk more about the reality of recovery and the causes that most doctors miss. Over 50% of the people no longer trust the government and doctors when it comes to vaccines. What about the claims that autism is a genetic anomaly? Do prostate cancer patients really need more chemo? Will oncologists finally acknowledge that your immune system is the key to preventing or overcoming cancer, rather than chemotherapy, radiation and surgery?